Home news politics N222 Billion FCT’s Budget Passes Second Reading In House Of Reps.
N222 Billion FCT’s Budget Passes Second Reading In House Of Reps.
Latest news update as the House of Representatives on Tuesday passed N222.36 billion Appropriation Bill for the Federal Capital Territory, FCT, for its operations in 2017. It is gathered that the budget comprised N52.58 billion for personnel costs, N41.30 billion for recurrent expenditure and balance of N128.49 billion for capital projects. Presenting the bill, Leader of the House, Femi Gbajabiamila, urged members to pass the budget through second reading so that it could be given an expedited consideration. He explained that the budget would have been presented three weeks earlier but that due to some administrative hitches, it was brought late. He appealed to lawmakers to pass the Bill to enable the FCT administration embark on development projects. Supporting passage of the bill, Deputy Chief Whip of the House, Pally Iriase (Edo-APC), reiterated that the budget was coming late hence there was need to act on it fast to save time. However, in his contribution, Kingsley Chinda (Rivers-PDP) cited section 122 of the 1999 Constitution and argued that presentation of the budget was unconstitutional because it fouled of the provisions of the constitution and should not be passed. Mr. Chinda said that the 2017 fiscal year was almost running out and that for failing to present the budget, it should be stepped aside. But this opinion was countered by Mr. Gbajabiamila, who argued that the fiscal calendar was not defined by the constitution to necessarily mean January to December, insisting that the budget was still within the law. 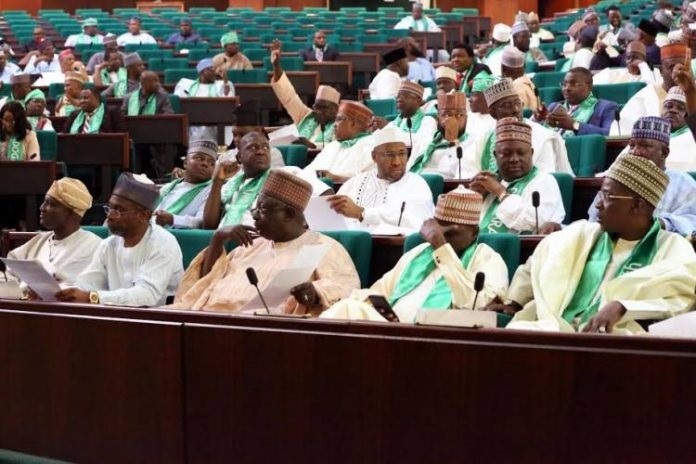 The Speaker, Yakubu Dogara, said that it was against the house’s rules for lawmakers to drop a bill which had been read for the second time. “We don’t have the discretion to stop the passage of the bill when it gets to second reading. When the speaker put it to voice vote, the bill was adopted by members.